Chapman's religious studies faculty are nationally and internationally recognized scholars who are engaged in cutting edge research in their fields and bring this expertise into the classroom. Marilyn Harran is Professor of History and Religious Studies, Stern Professor of Holocaust Education, Director of the Rodgers Center for Holocaust Education and Director of the Sala and Aron Samueli Holocaust Memorial Library. A respected Church historian, Dr. Harran is also a nationally recognized leader in Holocaust education. She not only teaches courses on the Holocaust and related topics, but also coordinates an annual Holocaust lecture series, bringing survivors, scholars, films and more to campus. Her books include Luther on Conversion: The Early Years (1983) and Martin Luther-Learning for Life (1997), and she is co-author of The Holocaust Chronicle: A History in Words and Pictures (2000). Nancy M. Martin is Chair of the Department of Religious Studies, with expertise in world religions, gender & religion, and comparative religious ethics. Prof. Martin is co-editor of a series of volumes on global ethics and religion (Oneworld), and author of a forthcoming monograph on the Hindu woman saint Mirabai. Her current projects focus on low-caste oral religious traditions and interreligious harmony, violence in India and on indigenous religions and the environmental crisis. Associate Professor of Philosophy and Religious Studies, Charles T. Hughes, teaches courses on the history of philosophy, theology and philosophy of religion, including a course on “Religion, Knowledge and Evil.” He is co-editor of Jesus Then and Now: Images of Jesus in History and Christology (2001) in addition to authoring articles on topics in philosophy of religion. Rafael Luévano is both Associate Professor of Religious Studies and an ecumenical officer of the Roman Catholic Church. Prof. Luévano teaches mysticism and religion and the arts. 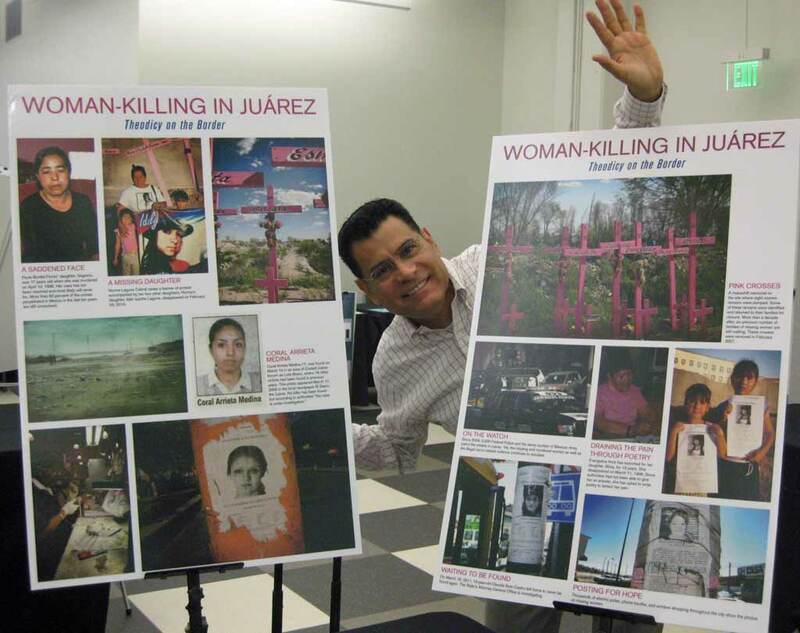 He is the author of Endless Transforming Love: An Interpretation of the Mystical Doctrine of St. John of the Cross (1990) and Woman-Killing in Juárez: Theodicy at the Border (2012). His current projects include a comprehensive investigation of violence in Mexico under the working title “Spiritual Memory and Mexico: The Human Cost of the Drug Wars Violence” and a study of pilgrimage, focusing on the Way of St. James in Spain. Julye Bidmead is an archaeologist on the staff of multiple excavations in Israel, including the Megiddo Expedition and the Jezreel Expedition. She is the author of The Akitu Festival: Religious Continuity and Royal Legitimation in Mesopotamia (2002). Prof. Bidmead teaches Hebrew Bible, archaeology of Ancient Israel, and gender studies in both religious studies and the honors program. She is the faculty advisor to Chapman’s chapter of Theta Alpha Kappa, the national religious studies honor society. Gail Stearns is Dean of the Wallace All-Faiths Chapel and Associate Professor of Religious Studies. Prof. Stearns is co-author with Julye Bidmead of Invest Your Humanity: Celebrating Marvin Meyer (2015) and the author of a monograph on the gospel of Mark, Open Your Eyes: Toward Living More Deeply in the Present (2011) and of Writing Pauline: Wisdom from a Long Life (2005). Her doctoral work focused on gender theory from an interdisciplinary perspective, including gender in religion, anthropology, sociology, and literature, and she teaches courses on mindfulness, gender, religion, and interfaith dialogue and leadership.